I’m back in the lab once again to hone my skills on faecal hormonal assays. The unsuccessful ending to my first lab visit didn’t deter me from trying again. If anything, the lessons I gathered from that experience made me more determined to succeed in my analyses this time around. Besides, I’m surrounded by several lab experts who are always happy to offer support and guidance; starting with this – relax and develop a pipetting rhythm that works for you. And on that note, I plunged into the fundamentals of hormonal assays. The prerequisite for me to obtaining a good assay was to master the steps and types of reagents needed as well as brushing up on my pipetting techniques. 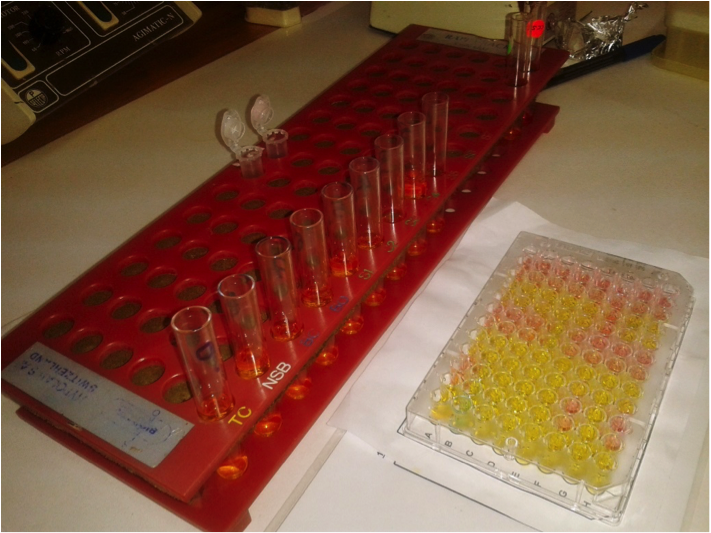 So I set aside a couple of days for these tasks but the monotony of the mundane exercise – and in particular, pipetting – started to get to me by day two. I needed to persist through it for two main reasons: To get a ‘feel’ of the different assay liquids and subsequently handle them better and secondly, to develop that all too important pipetting rhythm! 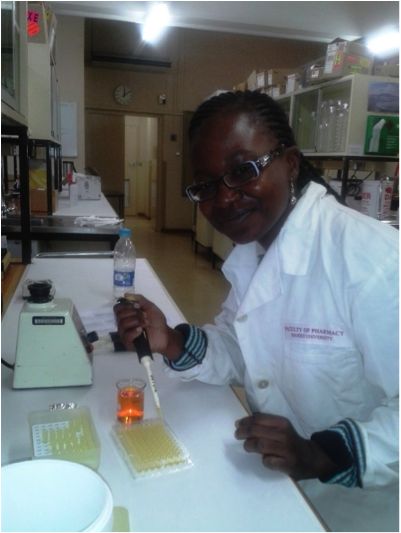 By day three, I had a firm grasp of the basics and was confident in my abilities to pull off a good assay. 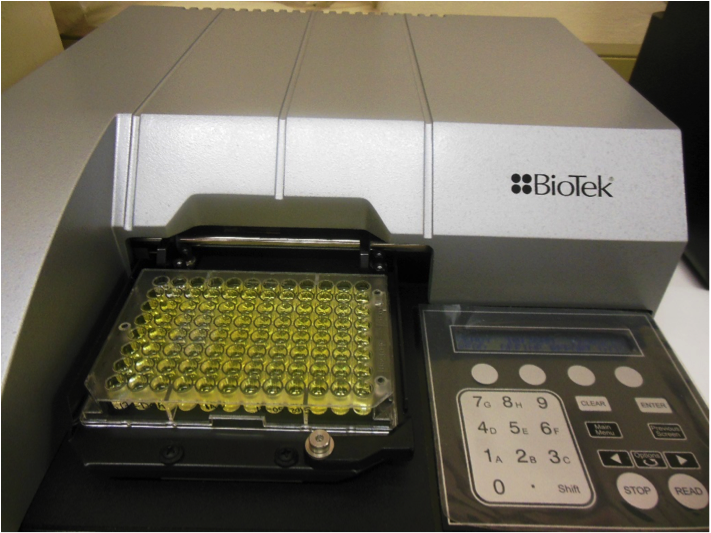 The assay involves preparing a standard curve from a serial dilution of different volumes of liquids and reagents, which are then pipetted into a “plate” of 96 tiny wells. The wells are closely packed and certainly require your utmost concentration during pipetting. In fact, it is not uncommon to completely ignore visitors when busy with a plate; unless of course it’s an emergency. 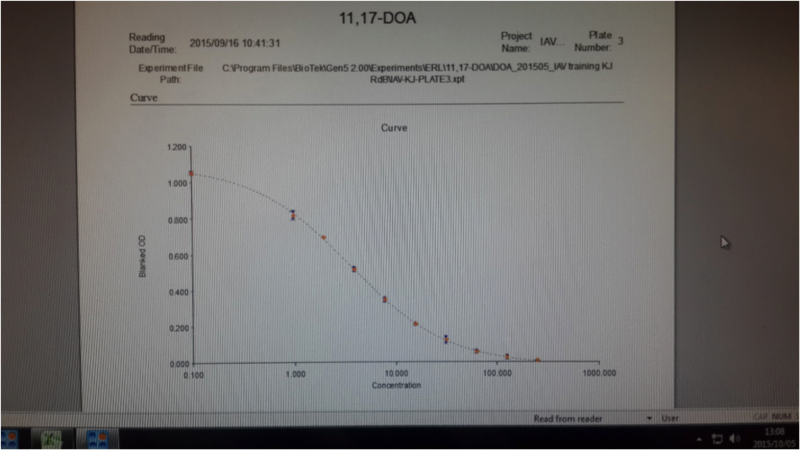 You would think that with all those days of practise I’ve had, surely I would nail the first assay but it turned out to be a disaster – and the second one too – both plates had HUGE outliers spanning the length of the standard curves. Was I already re-establishing my previous pattern of disappointment? Self-doubt was slowly setting in…But I thought to approach this non-academically and perhaps a bit more like a sportswoman. This is a physical feat, and after all, expert runners benefit from having somebody critiquing their technique. A thing of beauty — not a single outlier on my standard curve!